There are two ways to achieve immigration reform, one is to deploy law enforcement, sensors and drones to the borders and the other way is to make sure those entering the country illegally can’t find work. In order to make the latter happen is to issues tamper-proof, biometric ID cards, states the Washington Post in an editorial. The immigration plan outlined by President Obama and eight bi-partisan senators called for a “fraud-proof” ID card but did not go as far as calling for a national ID and use of biometrics. This isn’t the first time this has been proposed. 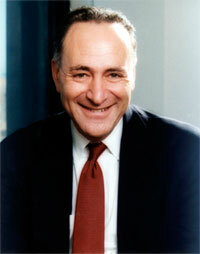 Sen. Chuck Schumer (D-N.Y.) proposed a similar idea in 2009. “A phased-in, reliable ID might have other benefits — for instance, to safeguard voting. That should satisfy Republicans who insist that IDs prevent fraud at the ballot, as well as Democrats who believe Republicans want to suppress voting,” the Post editorial stated.